Thomas Jefferson is not thought of first and foremost as a natural historian, but his Notes on the State of Virginia (1787) proved to be an important source for European and American knowledge about the New World. Jefferson included lists of plants identified by their Linnaean names and divided into four categories: medicinal, esculent, ornamental, and “useful for fabrication.” He entered into the debate about the identification and existence of the mammoth, arguing that the size and distribution of tusks and grinder teeth proved that the remains could not belong to elephants or hippopotami. He accepted the possibility that such creatures might still exist in the far reaches of the continent. Jefferson strongly disputed Buffon’s claim that animals in America were smaller than (or had degenerated from) their European counterparts. With a series of tables comparing relative weights of species in both environments, Jefferson established that species unique to America were larger than their Old World counterparts and that individual specimens of species common to both continents tended to be larger and more robust in the New World. In these comparisons, Jefferson drew on his own observations and on research into works by naturalists Mark Catesby (1682-1749), Peter Kalm (1716-1779), and Louis-Jean-Marie D’Aubenton (1716-1799). In a letter written four years before the Notes, Jefferson thanked George Rogers Clark for shells and seeds, and asked Clark to procure for him “as many of the different species of bones, teeth and tusks of the Mammoth as can now be found.” Later, in his instructions to Merriweather Lewis (1803) in preparation for the Lewis and Clark expedition, Jefferson (now as President of the new nation) noted the importance of recording “the soil & face of the country, its growth & vegetable productions; especially those not of the U. S.; the animals of the country generally, & especially those not known in the U. S.; the remains & accounts of any of which may be deemed rare or extinct . . . the dates at which particular flowers put forth or lose their flowers, or leaf, times of appearance of particular birds, reptiles or insects.” Jefferson was an enthusiastic supporter of Charles Willson Peale’s natural history museum in Philadelphia. He sent Peale a “Plains Horned Toad” from the first shipment returned by Lewis and Clark. 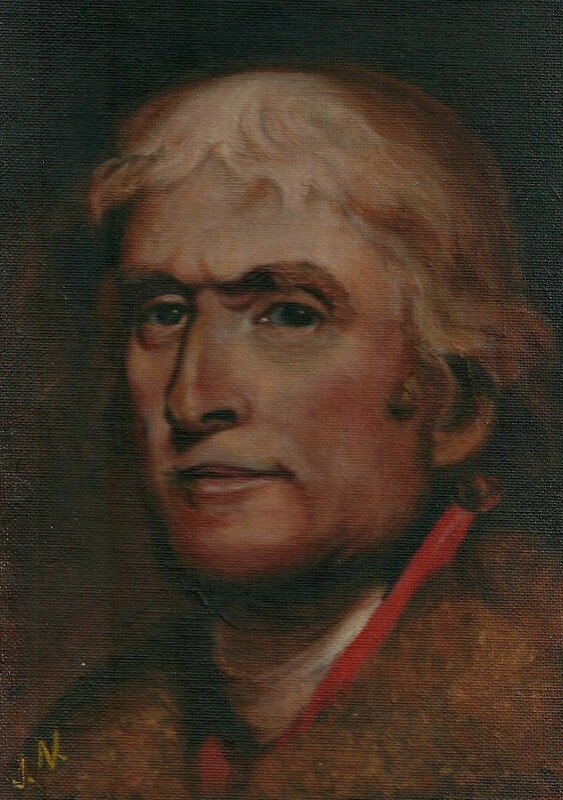 He wrote to Volney in 1806, describing Lewis and Clark’s evidence for species newly found to inhabit the continent of North America: a quadruped like Ovis ammon (the wild mountain sheep), blacktailed deer, antelope, badger, marmot, white weasel, magpie, prairie hen, and the “prickly lizard.” In 1808, Jefferson sent mammoth bones, rams’s horns, and a mountain goat skin to Bernard Germain de Lacepede (Buffon’s successor) as donations to the National Institute in Paris. 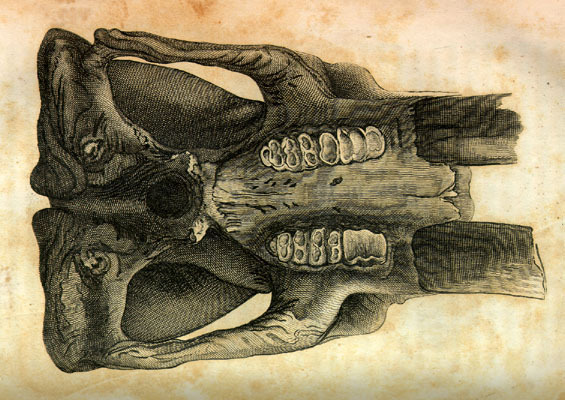 Jefferson sent “A Memoir of the Discovery of Certain Bones of an Unknown Quadruped of the Clawed Kind, in the Western Part of Virginia,” to the American Philosophical Society in Philadelphia in 1799. He thought these bones belonged to a large feline carnivore, and their study helped to inaugurate the subject of vertebrate paleontology in the new United States. The bones actually belonged to a giant ground sloth, which was named Megalonyx jeffersoni in 1822. In addition, Jefferson took an active interest in the discovery of an almost complete mastodon skeleton by Charles W. Peale near Newburgh, N. Y. Peale assembled this skeleton in his own natural history cabinet in Philadelphia in 1801 and painted the dramatic scene in Exhumation of the Mastodon (1806-08). Jefferson’s personal library, which helped to reconstitute the Library of Congress after the destructive War of 1812, included natural history works by Aristotle, Fothergill, Linnaeus, Gronovius, Spallanzani, Cuvier, Blumenbach, Pennant, Goldsmith, Lacapede, and others.